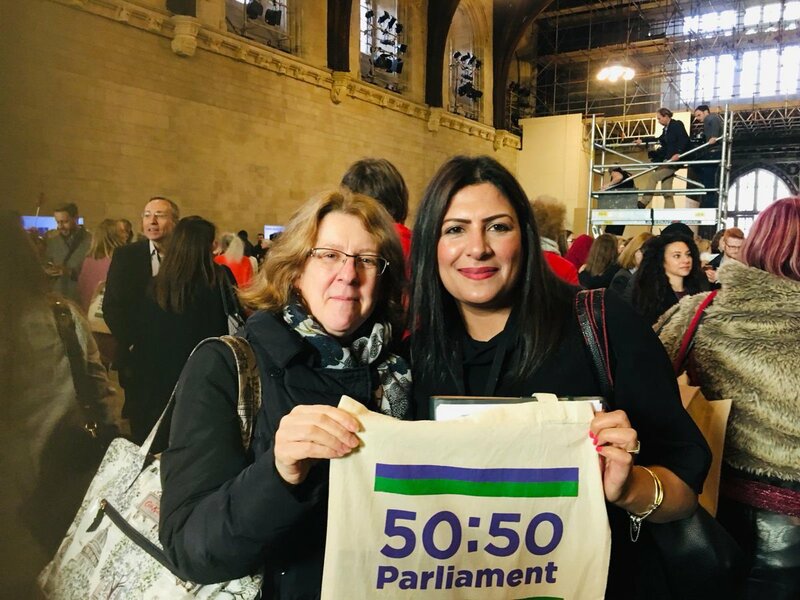 On 21 November MPs took action to inspire a generation of women to stand for elected office by inviting a woman from their constituency to Parliament for the day. Preet Kaur Gill MP invited her constituent, Annette Webb, to participate in the historic #AskHerToStand Day to clearly demonstrate that Westminster welcomes women. The purpose was to encourage and support many more women to stand for political office both locally and nationally. The day is was organised by 50:50 Parliament in partnership with the Jo Cox Foundation, Fawcett Society and the Centenary Action Group to mark the centenary of the Qualification of Women Act when women were first able to stand for Parliament. In the 100 years since then only 491 women have gained seats at Westminster, compared to 4503 men. At the last election 12 extra women were elected - at this rate it will take over 50 years to achieve a more gender balanced Parliament, which all political parties have agreed is desirable. As well as spending the day with Preet and her Westminster team, there was an opportunity for Annette to attend various events in Parliament, and gain a better understanding of political life and the difference that their involvement could make.